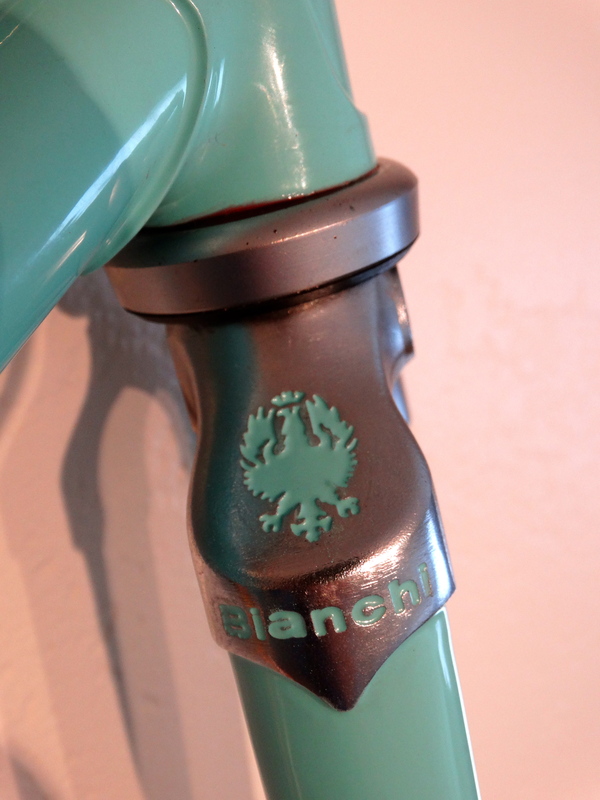 When you're looking to build a bike, especially a vintage, Italian bike like the frames I sell, it's important to know a little about proper bike sizing, frame tubes, and how other parts work. Here, you'll learn a great deal of information about the various bike parts and how you can choose the one that's right for you. Below you'll find general sizing recommendations. Knowing your height, true inseam from crotch to floor, with no shoes on and feet about 10 inches apart, is a good start. That will help me to advise you about the approximate size you should be going for. There is a wide range of frame sizes that will generally fit someone, though some people believe that only a frame of particular dimension might work. Bike frames aren't as exacting as fitting shoes, and some people aren't built proportionally, and others have very strange ideas about proper frame fit—such as riding a too-small frame because it's lighter or believed to be stiffer. Stiffness isn't a real benefit unless you do a lot of sprinting on a track, and super-stiff road frames used for recreational use tend to be a very uncomfortable bike. I recommend fitting people to classic Italian road frames for recreational riding, which is much different than you would find for elite racers or young, flexible athletes looking for racing bikes. This means that you'll be sitting in a more upright position with the bars approximately at the same height, or higher, than the seat. This is much more like touring bikes than racing bikes, and puts little to no pressure on the hands while reducing the need to crane your neck to see forward. Does Your Current Bike Fit? Other questions I ask people is what is the size of their current bike, and how does it seem to fit? I recommend riding a number of vintage steel bikes of similar design and remembering that stems may be shortened. Many Italian bikes come with rather long reach stems for recreational use. They're almost always 120mm, even in small ones. The seat, however, can be adjusted up, down, fore, and aft. Adjusting your test bikes should be a part of your experimenting and it will also be necessary to adjust and dial in your finished bikes. This is a simple enough exercise if you take a few test rides with wrenches in-hand, allowing you to tinker with fit until you find the optimal positioning. My bike frames are painted by two different professionals with a great deal of experience. My part in the process is to find and purchase a quality frame, disassemble it, and get it ready for painting. Once it's been painted, I handle the necessary running around, decal application, reassembly, as well as customer relations and sales. Deciphering a frame's tube type is difficult, if not virtually impossible. Of course, there are people who claim they can tell the difference and will only ride a certain type because they believe it to be superior. As for me, I've ridden a 1992 Masi Team 3V in my size, made or Reynolds 853 that seemed quite stiff compared to my own 1973 Colnago. This was likely due to frame geometries and other factors. Master frame builders I have spoken to agree that frame angles, wheels, and tires are the most likely to effect the riding experience. 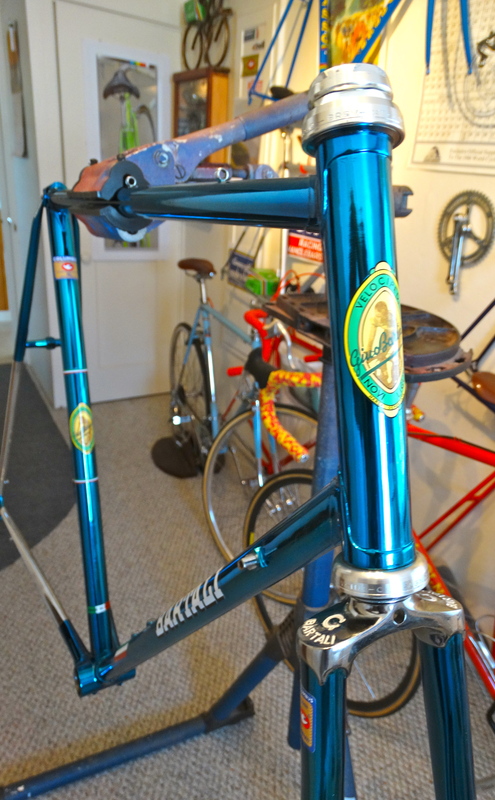 They also agree that most classic Italian steel stage-racing frames ride very nicely compared to other types. Of course, there are excellent English, French, Japanese, and American frames that provide this experience, as well. I just choose to focus on tutto Italiano. You will find notable differences in build quality from brand to brand and even from the same makers. I've seen sectioned lugs off of wrecked bikes from premium builders that had voids and poor preparation work. Not all bikes are created equally, and the quality will often depend on order deadlines or even how much wine was consumed during lunch. 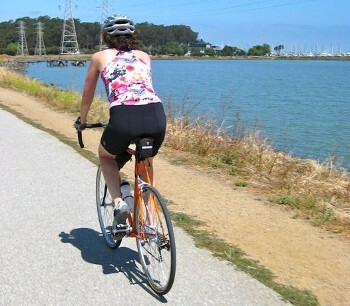 What fits you as a rider is far more important and where things most often go very wrong. Wheels and tires, particularly depending on the pressure, can make a huge difference in ride experience. I recommend you try a larger section tire from 25 to 28mm if it will fit your frame and if you have the confidence to buck the opinions of wannabe racers for an improved ride, cornering, flat resistance, and better wear. Rolling resistance isn't really an issue, despite what others may say.